Weren’t you just thinking how nice it would be to have some homemade gluten free granola, but you didn’t want to fire up your oven? We’re so simpatico, you and me. The key to making good gluten free granola (you know how I always think I have the key, but I promise it’s only when I do, in fact, have the key) is to let it cool on a baking sheet completely before breaking it up. But … what about when you make it on the stovetop? Easy. Just make it in a heavy-bottom pot (no heating up the kitchen! yay! ), and pour it into a lined rimmed baking sheet. And let it cool. No bake warm weather goodness, in just a few cool minutes. Serve it with some fresh fruit (strawberries are still in season!) and maybe even a little coconut cream whipped cream (you have tried that by now, haven’t you?). I went a little nutso and used brown butter (use the link below in the recipe ingredients for my post showing you how to make brown butter), but you could always just use an equal amount by weight of oil. Almond oil (expensive but so lovely) or extra virgin olive oil also work really well. 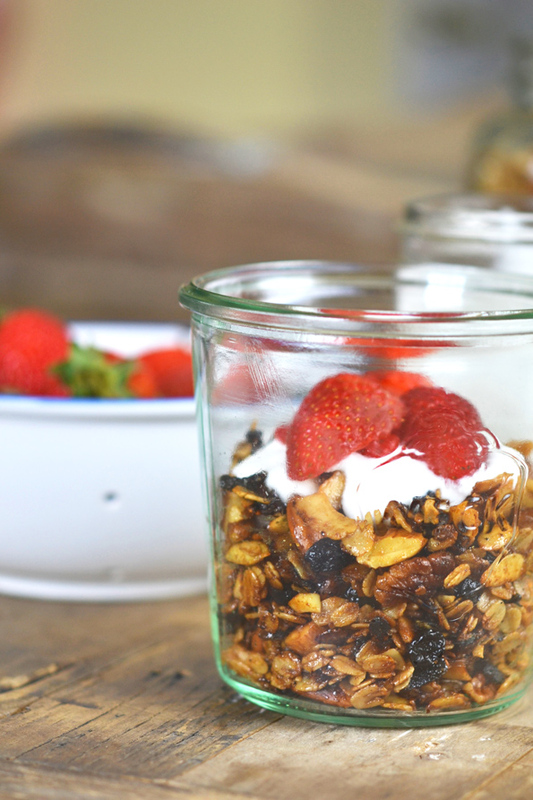 And … if you’re wondering if you should Make It Or Buy It, I’ve got that covered, too (I’ve really got to make a copycat version of Kind Granola – that stuff is good). 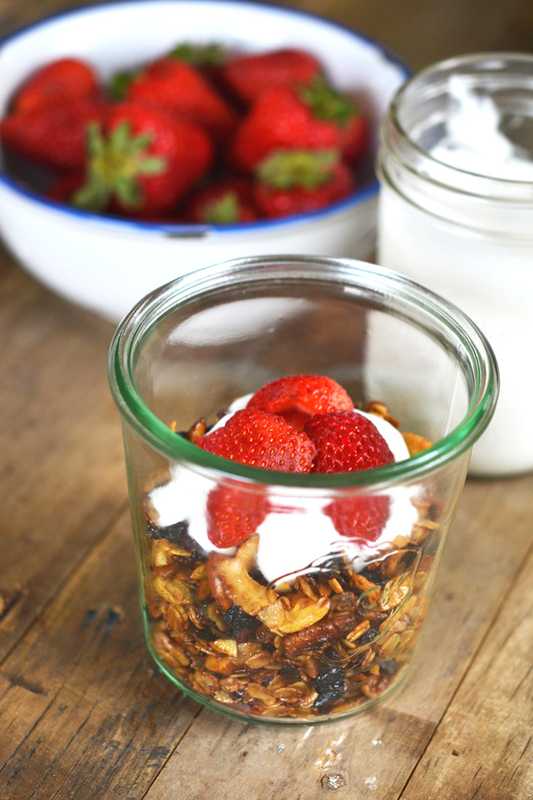 Adapted from my Maple Almond Gluten Free Granola. P.S. If you haven’t yet, please pick up a copy of Gluten-Free on a Shoestring Quick & Easy! I need your support to keep the blog going. Have you made any of your granolas with rolled quinoa? Can’t do oats. Curious if there are major baking differences. 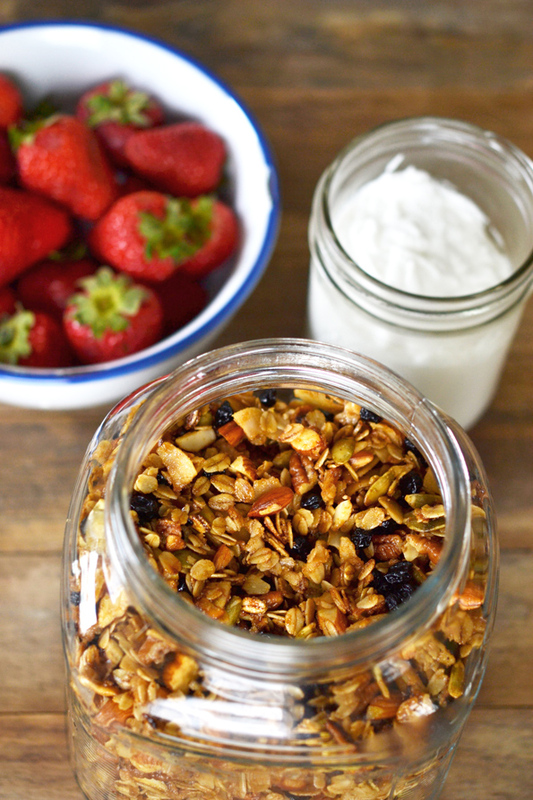 Have made granola plenty in the past, but never thought to do it on the stove top. Brilliant, yet again!! Thanks for making so many GF things accessible! This looks delicious! 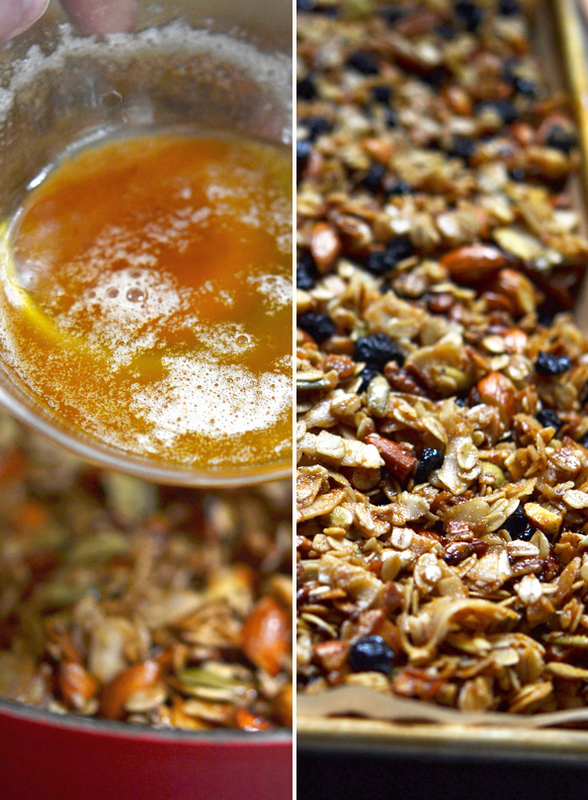 Have you ever had success just pressing the whole lot together to make granola bars? Trying to think of a way to get this into my husband’s lunches! Interesting question, Gwen. I haven’t, but I bet it would work if you have more of a binder. That could be something sticky, like more honey, or even some pureed prunes or dates.